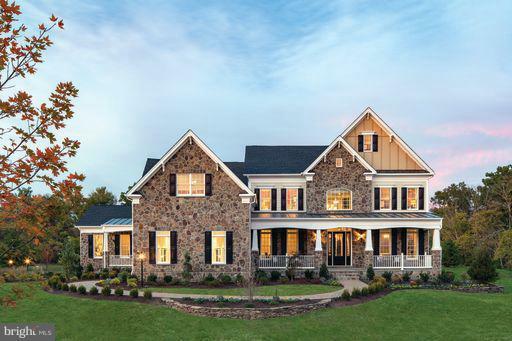 Stunning New Estate Home, Move in Early 2019! Culdesac homesite backing to trees! 3 Car garage. Hardwood throughout main. Gourmet kit. opens to large Brkfst area & grand Fmly Rm. w/ fireplace, study. Sunroom. BR suite w/ full bath on main. 2nd lvl master + 4BRs w/ en-suite baths, laundry rm, 2nd laundry hookup in mudroom. Walk out lower level w/ huge rec room, bedroom and full bath! Directions: Takw I-66 W to ext 40 (Haymarket). Turn RT onto Rt.15 N. Go 2.8 miles. Turn LT onto Waverly Farm Dr. Go .5miles to RT on Allens Mill Blvd. Turn LT at stop sign on Sky Valley Drive. Model home and sales office will be on the right.